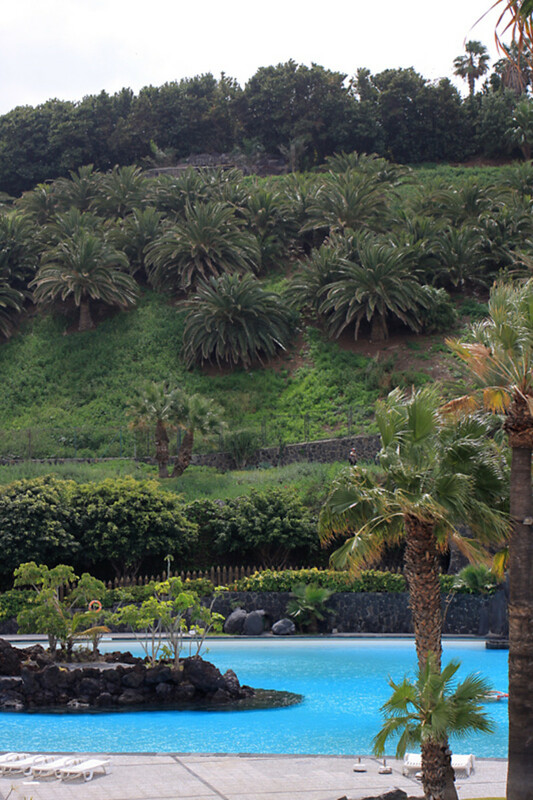 This short article tells the story of the Palmetum, a botanical garden which has recently opened in Santa Cruz, the capital of the Canary Island of Tenerife. The garden is a beautifully designed and attractive haven on a hill between the city and the Atlantic Ocean, and it is the largest green space within the city boundary. The Palmetum Botanical Garden has much to recommend it. 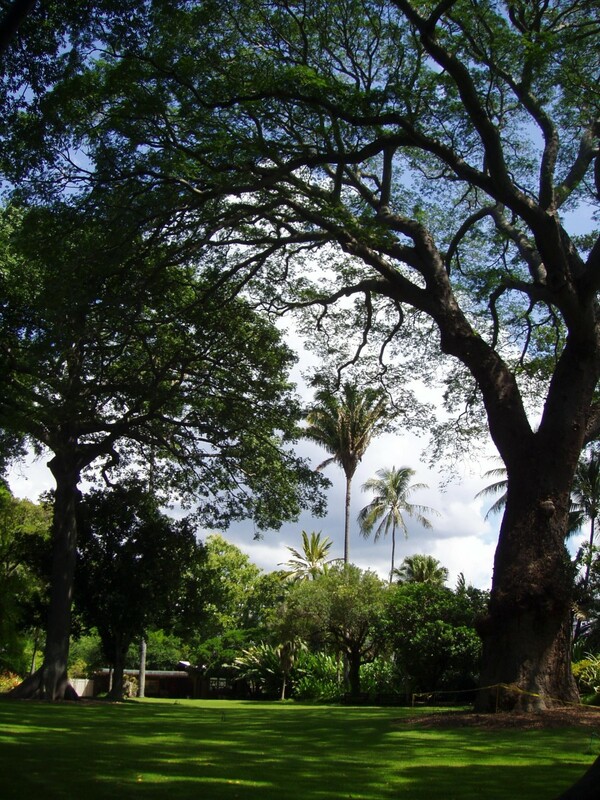 But perhaps most of all it is what lies beneath the Palmetum which makes the garden deserving of admiration, because the creation of this park is a truly shining example of what can be done with even the most unprepossessing of sites. And that is the story which will be told in this essay. The Palmetum’s location on a hill top on the seafront, means that the views of the surrounding area are almost as appealing as the views to be had within the garden. On the southern and eastern sides of the hill, which is called El Lazareto, there is a sea view as the Palmetum slopes down to the Atlantic Ocean, whilst on the west side are a few industrial concerns before the more attractive parts of the city stretch up to the hills. 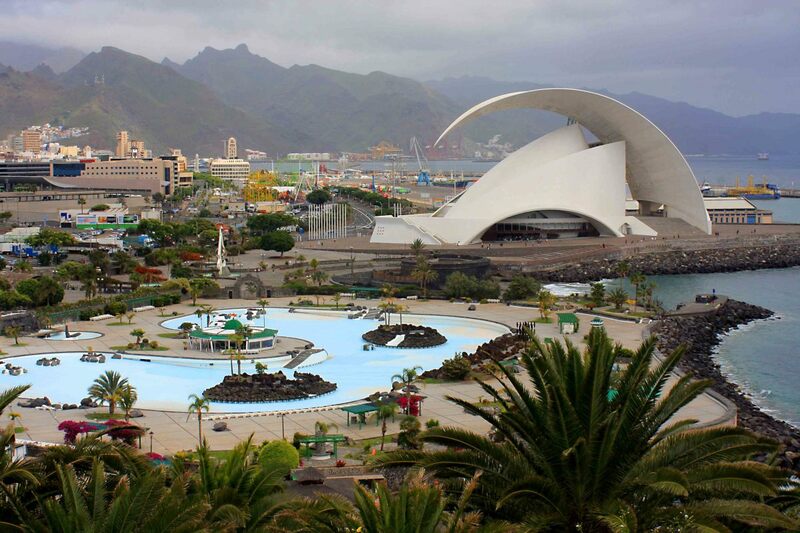 On the northern side of the Palmetum the distant Mountains of Anaga form an attractive backdrop, but at the foot of the hill there is the Parque Maritimo Cesar Manrique. This is a recreational site with swimming pools, play areas and restaurants, as well as a historic fortress and a concert hall. The fort is the Castillo de San Juan Bautista or 'Castle of St John the Baptist', built for the defence of Santa Cruz in 1641. 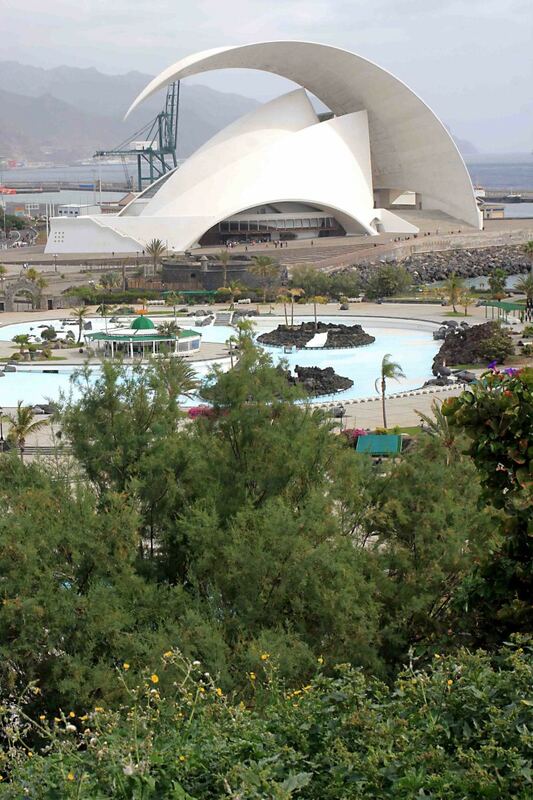 The concert hall is the Auditorio de Tenerife or the 'Tenerife Auditorium', opened in 2003 with a design reminiscent of the Sydney Opera House. Today this is the site of many classical music festivals. There are, as I say, pleasant views to be had in the surrounding area, and of course within the botanical garden itself, but the real story of the Palmetum and the real beauty of it is the dramatic transformation which has taken place on the hill of El Lazareto where the garden stands. Why is this so? Because 30 years ago, El Lazareto was not a beautiful palm garden - it was a stinking garbage tip. El Lazareto is not a natural hill. It was originally just a massive landfill site. Up till 1983, El Lazareto was the dumping ground for the City of Santa Cruz - a prominent, mountainous eye-sore which no one would ever want to get too close to. But in that year, the landfill site was closed down and abandoned to the few hardy local plants and fauna which could tolerate such polluted conditions. Even though closed, this artificial hill full of rubbish remained an embarrassment, and with a developing tourism industry as well as a local population requiring recreational space, the city drew up plans to do something rather more constructive with it. And the solution was both ambitious and highly commendable. It was decided to transform the hillside into a multi-functional new green space - an aesthetically pleasing Botanical Garden for the public to enjoy, and a site of scientific importance. Specifically, it was decided to make it a Palmetum - a garden which specialises in palm trees. A list of all the aims and objectives intended for the new development can be found later in the article. It took time for plans to be agreed and for necessary funding to be acquired, so it was not until 1995 that work finally began on the site. The financial backing came from the City of Santa Cruz and a sizable European Union grant. The project was almost literally monumental because El Lazareto stood 42 metres (138 ft) high, and the top surface was to be moulded into an area of 55,000 m2. The slopes of the hill provided another 65,000 m2 for development. What's more, because of the nature of the landfill site, making the ground fertile and landscaping the hill was much more than a simple top dressing with soil. A gas extraction system had to be installed to prevent the build up of methane and other noxious gases from the fermenting garbage in the hill, and a deep excavation of the site was necessary to prepare the ground. This began in March 1996. 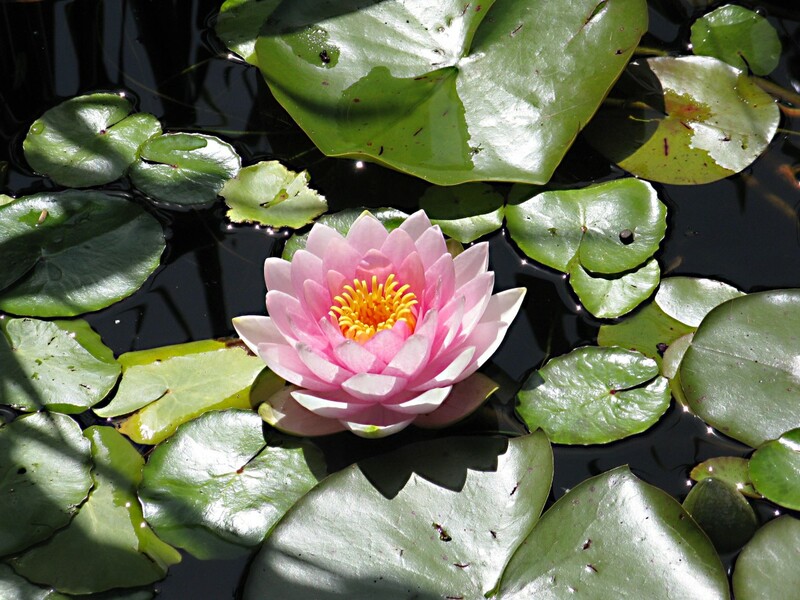 The first buildings were erected and ornamental ponds and streams were dug, and the first of the Garden's plants were acquired. Out of more than 2600 species of palms worldwide, the first selections were made, principally on the basis of suitability to the subtropical island climate. 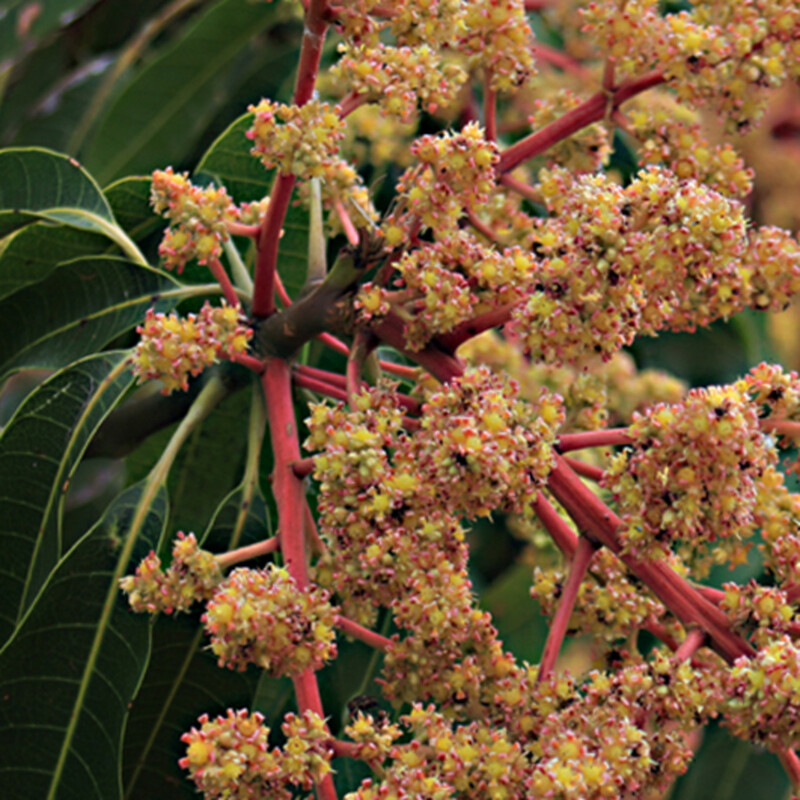 The majority of species were obtained as seeds donated by various nurseries and botanic gardens, but mature palms were also introduced in an attempt to transform the rubbish tip as quickly as possible. The first palm was planted in September 1996, and the following two years saw an intensive planting campaign. Palms from all over the world were introduced, many of these collected on five field trips to Central America, to Florida and to New Caledonia. As a result of this intensive activity, even before the turn of the millennium, an assessment of the collection by advisers from the Royal Botanic Gardens at Kew evaluated the Palmetum's collection as the fifth largest in the world. But then the set backs began. The larger palms suffered considerable die back due to the severe shock of transplantation. 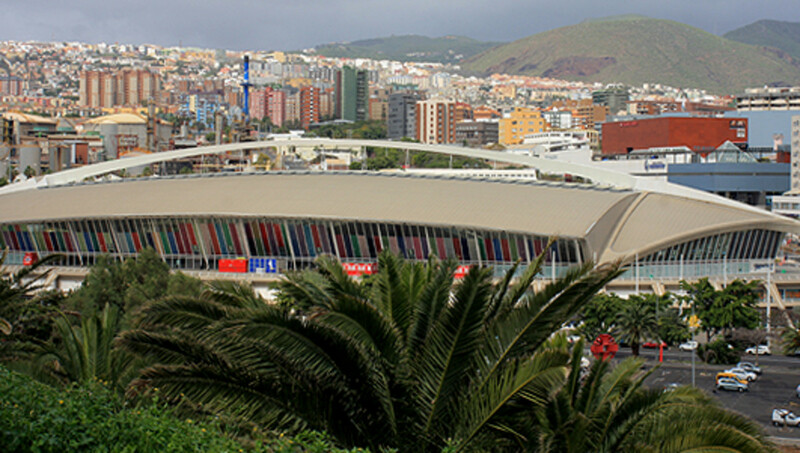 Although the climate of Tenerife is generally equable and conducive to good growth, the very exposed hilltop experienced strong winds and at this time there were no effective windbreaks in place. And of course the nature of the underlying landfill site meant that the ground had no ecological maturity. The sight of dead or dying trees led to some loss of enthusiasm. And then came the biggest set back of all. The huge cost of excavations, landfill detoxification and large scale plantings, meant that the Palmetum rapidly absorbed all of the money which had been thrown at it. In 1999 the project ran out of funds, and significant work came to a halt. Effective irrigation was still not up and running, and drought and neglect meant that many specimens died, or were only saved by relocating them back to other gardens. 40% of the hillside had still not been landscaped or planted. Two further brief periods of design and development did occur in 2000 and 2002, but these were hampered by lack of money and no technical direction, and for most of that period, devoted supporters of the project just did what they could to maintain the collection whilst waiting for better times. Effectively the Palmetum stagnated for seven years. During the period 1999 to 2007, the number of palm species on the hill declined from about 460 to 296 and things began to look bleak for the ambitious project. However, even while development of the Garden was largely suspended, other things were happening. Santa Cruz was expanding southwards around El Lazareto making the location more central to the city. And the recreational Parque Maritimo Cesar Manrique was developed to the north, making the whole area a focal point of the city. And within the Palmetum, the undersoil environment was slowly improving, and those younger plants and palms germinated from seed which had managed to survived the set backs, began to grow larger and stronger. All of these factors gave new motivation to drive the project forward. 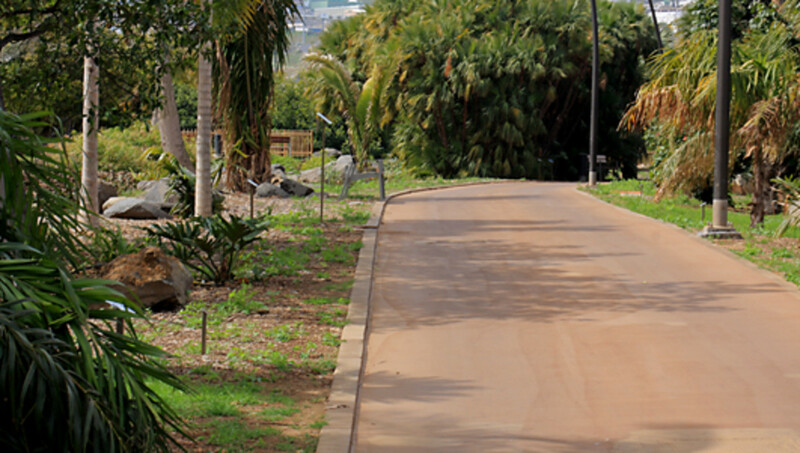 In 2007 there was a new influx of money from the Canary Islands government, and a new public organisation - the Fundacion Canaria del Jardin Botanico del Palmetum de Santa Cruz - was created in June 2007 to manage the park's development. Areas which had previously been neglected including the southern slopes, were landscaped and planted, and maintenance and upkeep of the collection was improved with major works including a new watering system. And since then events have progressed at an encouraging rate, matched by the spurt of growth which the trees have put on. So encouraging indeed, that in 2013 - nearly 20 years after the initial plantings - it was felt that the gardens and most of the trees were sufficiently mature for the Palmetum to be officially opened to the public. El Lazareto was to be a new green space for the residents of Santa Cruz. 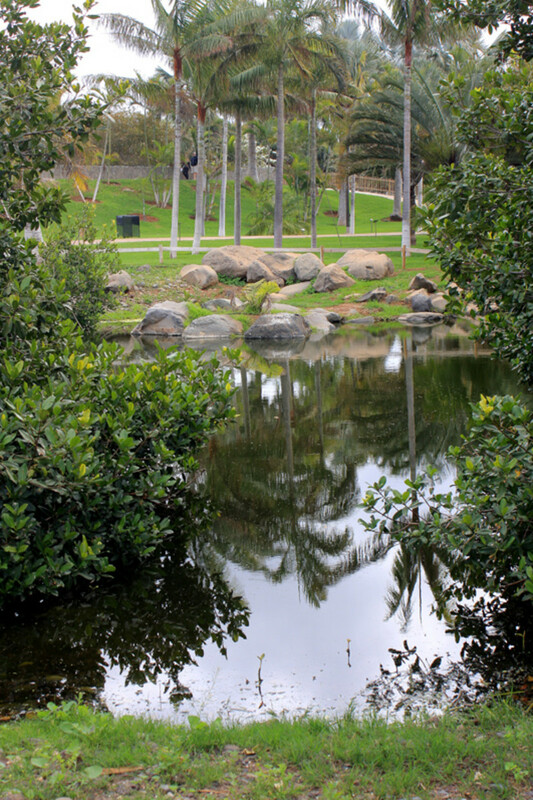 The city was in a phase of expansion to the south, and with the neighbouring development of Parque Maritimo Cesar Manrique, this was intended to become a focal recreational site for the whole city. As a scientific and cultural institute, a botanic garden such as this would enhance the reputation of the city and the whole island. Tourism was becoming the most important source of income for this sub-tropical island, and a Palmetum would hopefully be a significant new attraction to draw visitors to Santa Cruz and the surrounding area. It would facilitate research on palms and other plant species. It would become home to a school of gardening and design. 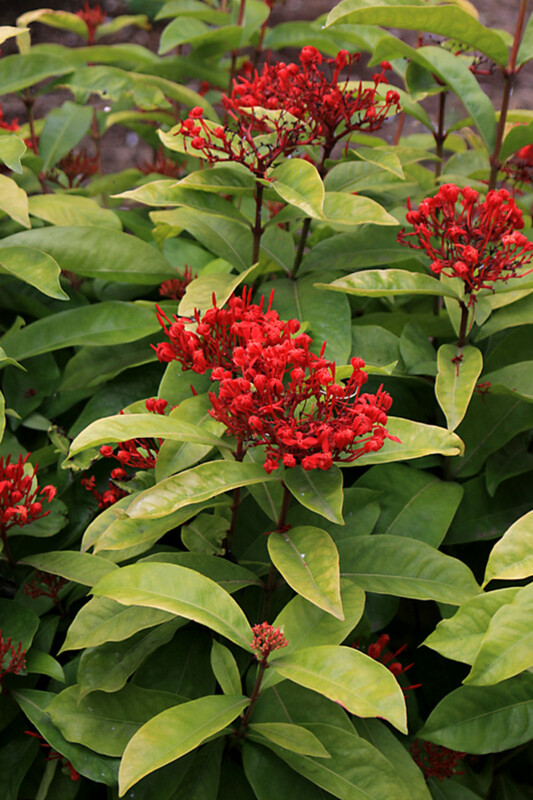 It would be a source of plants for ornamental nurseries on the Canary Islands. It would promote knowledge of the local flora of the Canary islands (One section is devoted to the indigenous Phoenix canariensis and the local woodland flora). The opening ceremony was set for 27th September 2013, and took place amidst much publicity, not least due to the attendance of the Prince and Princess of Asturias (Prince Felipe was at that time heir to the Spanish throne). The royal party spent 40 minutes touring around the garden, attracting media interest both from Spain and also internationally. The first public visitors were admitted over the next few days. 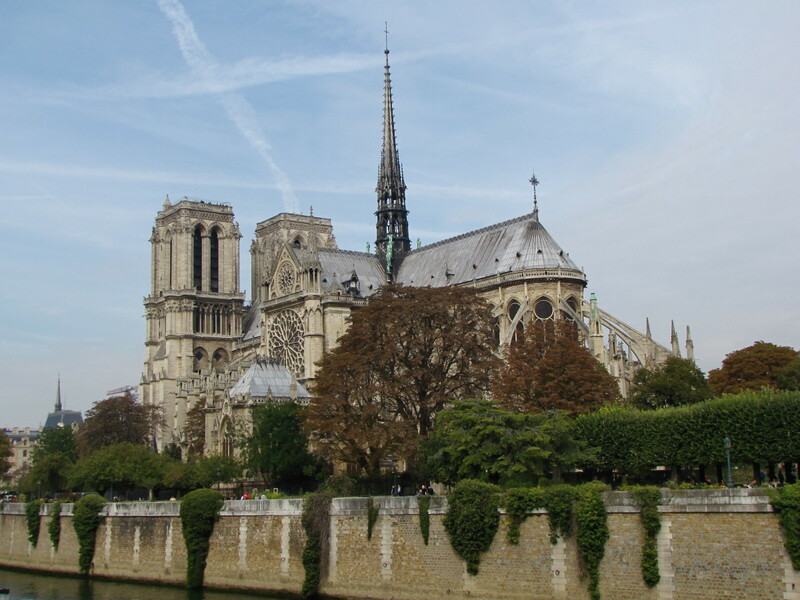 Initially these were small, guided group tours, and were by invitation only on just three days of the week. The tours lasted two hours and were primarily for the benefit of environmentalists and agriculturists and similar interested or influential parties, as well as groups of school children, college students and such like. These groups all gave favourable feedback, and generated a lengthening waiting list among local people. Invited group tours continued through the next few months, but then on 28th January 2014, the garden and the tours were finally made available for anyone to join. Nearly 4000 people enjoyed these during the first thee days of February. And so from the 6th February, the Palmetum was opened four days a week, and from the 18th, this increased to six days - Tuesday to Sunday. 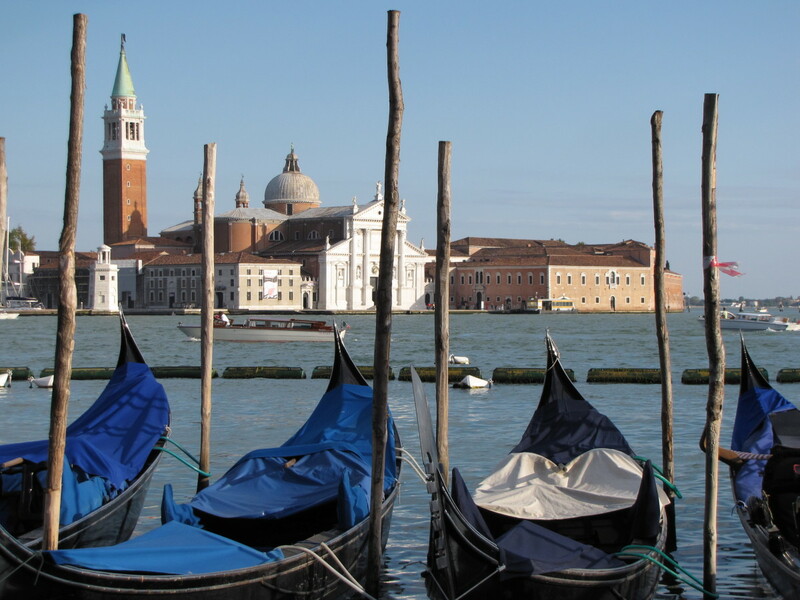 Early visitor statistics were encouraging and showed a roughly even split between locals and tourists. 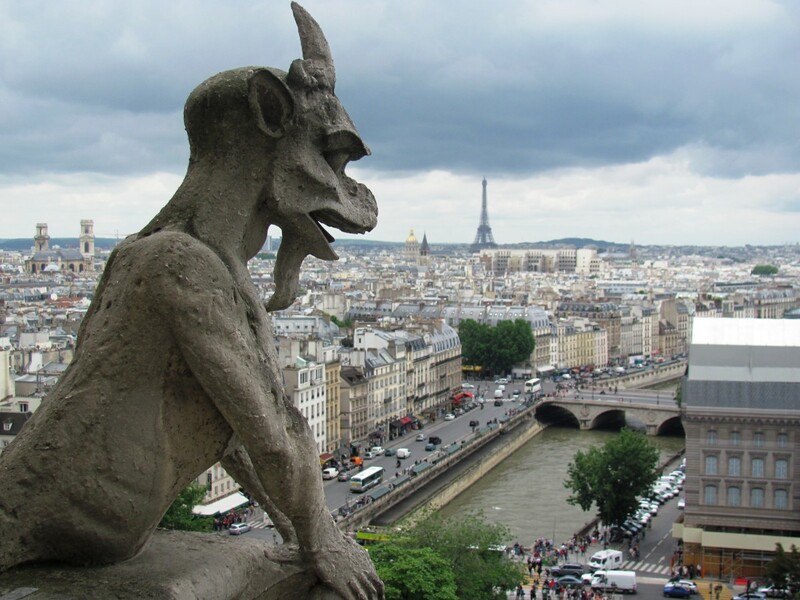 The theme of these tours appears to have been much the same as the theme of this article - to show how an intensive and dedicated effort had turned a disused, unappealing dump into a thing of beauty, commercial value and educational importance. Today, it's no longer necessary to join a tour. One is free to wander round at your own pace. 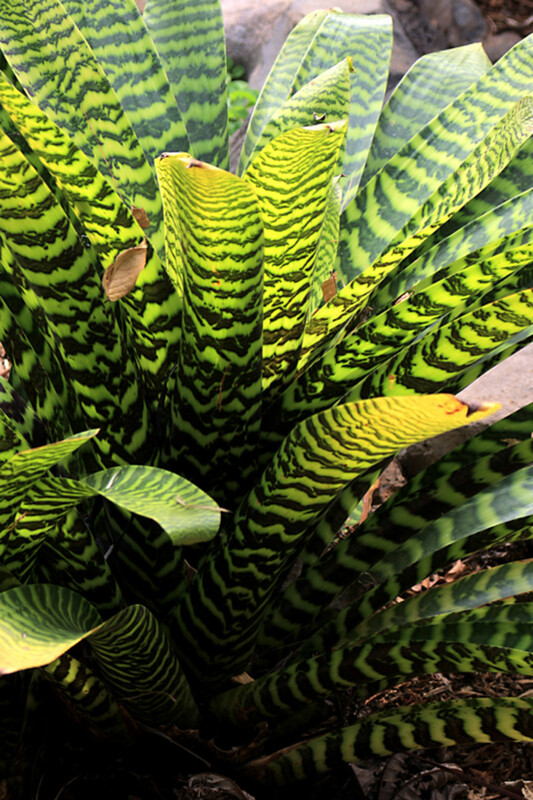 Today more than 2,000 different plant species are featured in the Palmetum. 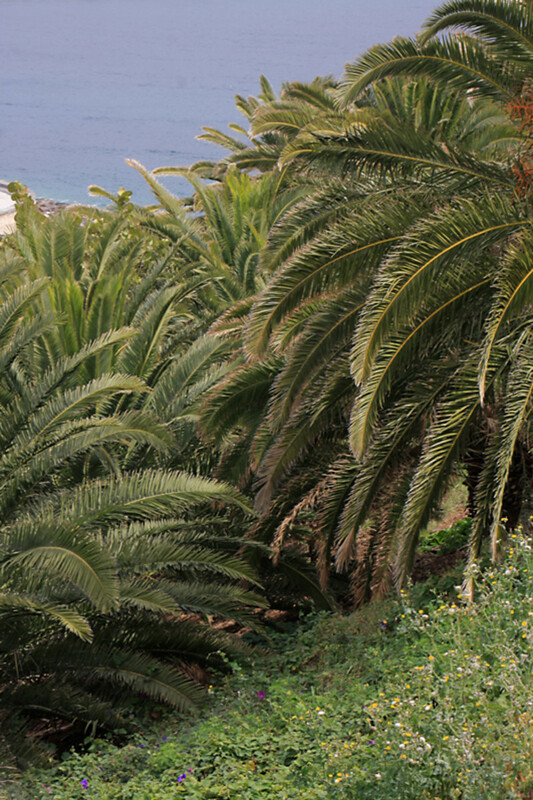 The collection of course focuses on the Arecaceae (the palm family), and more than 400 of these are to be found in the park - the largest and best collection in Europe. Among the most common genera represented here are Coccothrinax (43 species in the garden), Dypsis (21 species), and Chamaedorea (18 species). But in addition to palms many other species are grown. 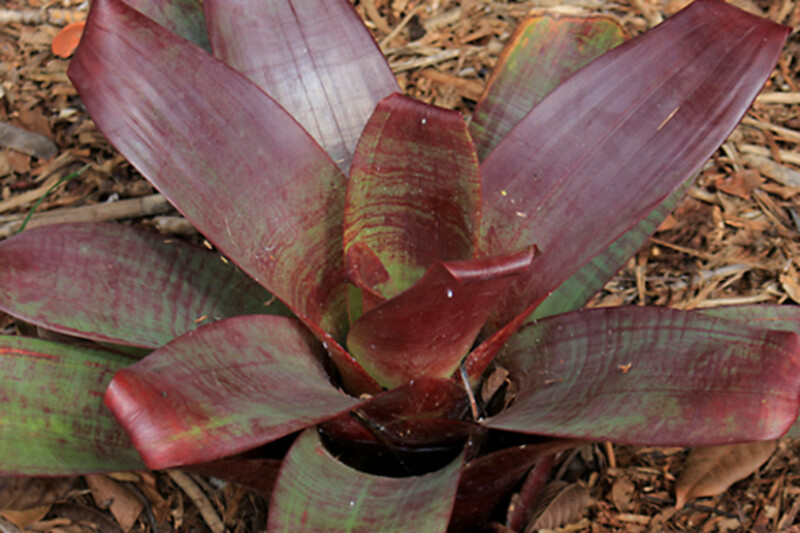 The Palmetum has a notable collection of 89 species of Bromeliads and 26 Agaves, as well as 27 members of the Moraceae (the fig family). Indeed, the largest tree of all in the Palmetum is a member of the Moraceae - it is a specimen of Ficus religiosa, the Sacred Fig of Asia. Other interesting species to be found in the park are mangroves, breadfruit trees and a collection of about 50 New Caledonian Araucaria trees. There's also a baobab - the distinctive African 'upside-down tree' - germinated from seed planted in 1996. This is a Palmetum, and palms and other trees are the main exhibits. One cannot necessarily expect to see extensive beds of brightly coloured flowers. Perhaps there will be more flowers on show during the spring and summer months, but certainly at the time of this author's visit to the newly opened garden, colour was limited to a handful of flowering shrubs and specimen plants. 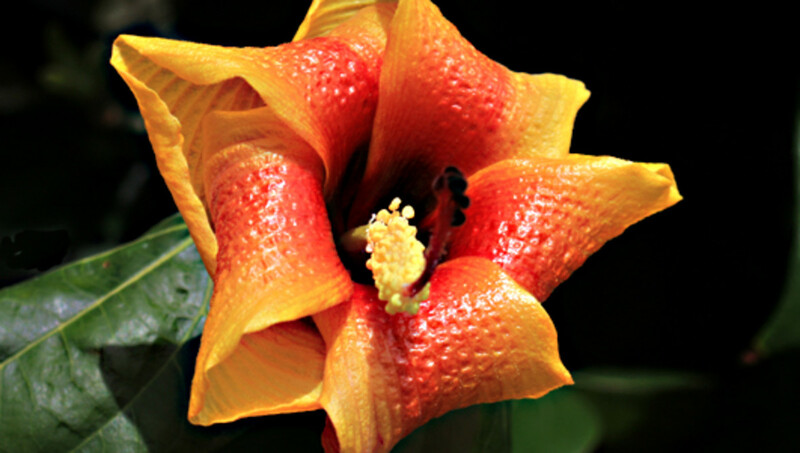 The species are arranged methodically in 14 biogeographical zones including varieties from the Americas, from Hawaii, the Caribbean and Central and South America. There is an African zone and a Madagascan zone, and there are plantings from mainland Indo-China, and many island groups in the Indian and Pacific Oceans, including Borneo and the Philippines, New Guinea and New Caledonia, Melanesia and the Mascarene Islands as well as Australia. Finally, there is a zone devoted to local plants. Only one palm tree is indigenous to the Canaries, and that is Phoenix canariensis, the Canary Island Date Palm. 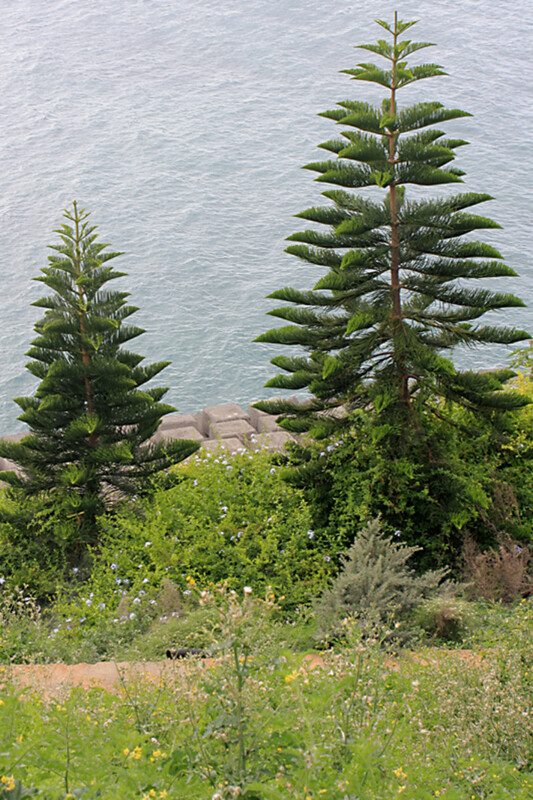 This and other characteristic local species such as Dracaena draco (the Dragon Tree), and Pancratium canariensis (the Canary Sea Daffodil) are grown on the slopes facing the city of Santa Cruz, to give a natural Canary Island look to the Palmetum when viewed from beyond its boundaries. The team managing the development of El Lazareto put much effort into making the hill a genuinely attractive and natural looking environment. 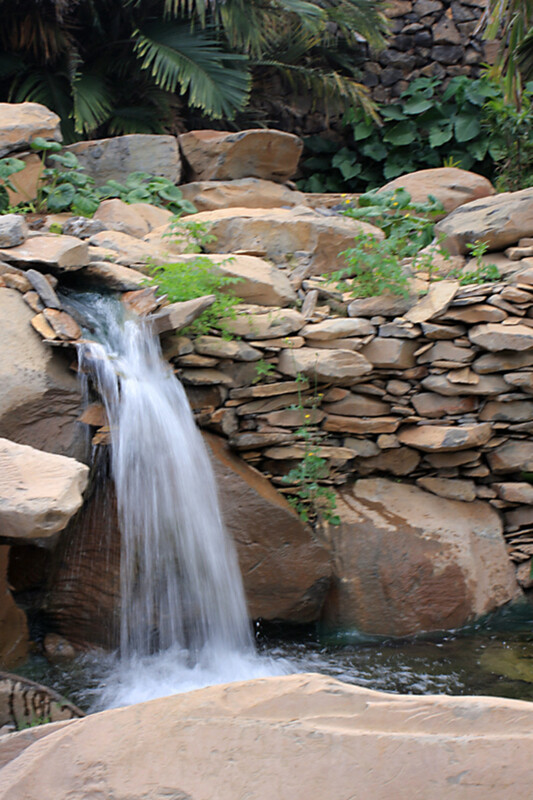 The garden has been designed with lakes, streams and waterfalls on the hill-top. Particularly attractive is the Caribbean Zone (which is the largest of all due to the climatic suitability of Tenerife for Caribbean species). 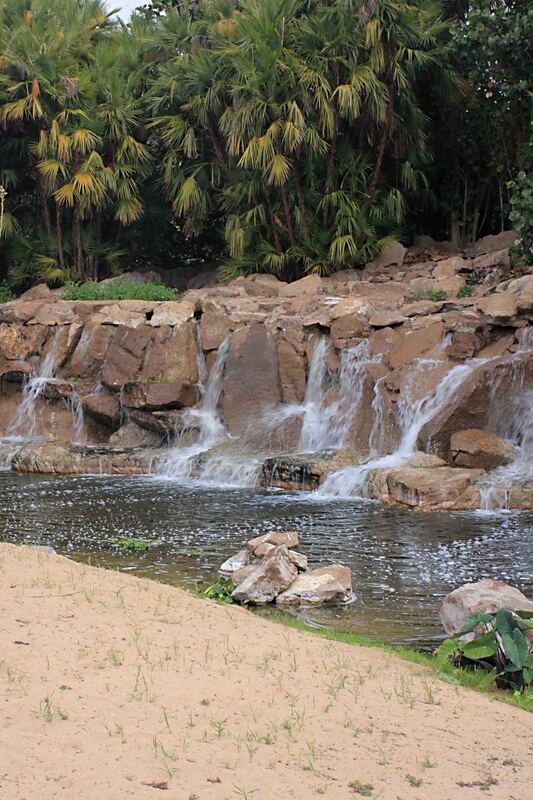 Here a waterfall surrounded by coconut palms feeds a stream which then flows down to a lake in the Madagascar Zone. Gently flowing water in particular adds greatly to the tranquil atmosphere of this park in the city, and helps to turn it into a place for quiet contemplation. And the emphasis on a natural look takes other forms too. The problem of strong winds on the hilltop has not been resolved with an ugly fence. 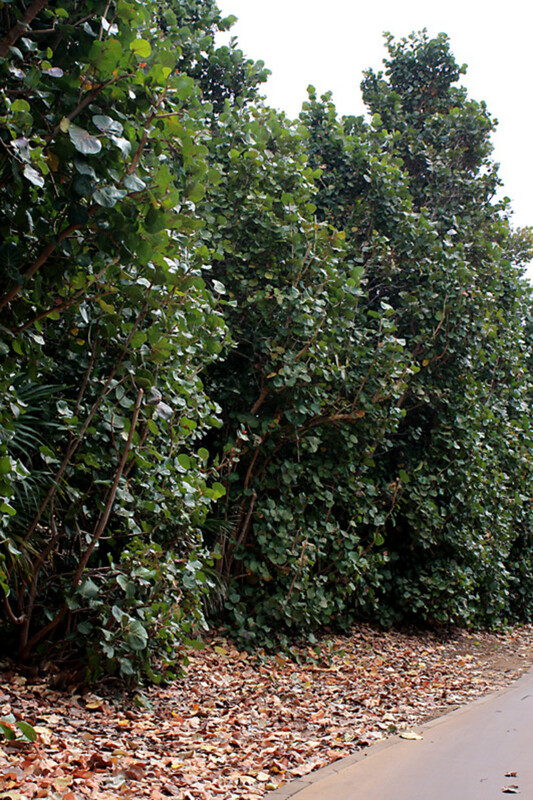 Instead a natural 'wall' of dense sea grape plants shields the other plants (and the visitors) from the wind. A botanic garden requires more than just green spaces; it also requires buildings. In the Palmetum these of course include the entrance and ticket office, which at the time of writing are of fairly simple and spartan design. An elevator and a ramp provide two options for scaling the hillside to get to the Palmetum. Two other important buildings are to be found within the Gardens. The Shade House or Octagon is a sunken area of 2,300m2 with a terraced perimeter, designed for more delicate species which need a cooler, more humid environment. It is landscaped with rocky outcrops, waterfalls, streams and a winding path around the plants. A museum devoted to the palm tree and the history of harvesting of palm products is being put together. Not open at the time of the author's visit, the 2000 exhibits reputedly include a 3 metre canoe made from the wood of a Peruvian palm. One of the rooms is devoted to the local Canary Island Date Palm, and the museum includes a herbarium and lecture rooms. If a garden such as this were flat and dreary, or if the whole place had an unkempt, underfunded look about it, then however special the plants may be, a walk round the Palmetum would be an uninspiring affair. But no such problems currently exist. The layout and plantings of the Palmetum have already been described, but equally important are visitor friendly features, and the maintenance of an attractive environment. At the time of the author's visit, pathways were clear of litter, and grass areas were grassy, not muddy or weedy. Of course at this time the garden had not been open long, so time will tell whether the staff are able to continue maintaining the Palmetum in a beautiful state as the visitor numbers increase, and the months and years pass by. Visitor information is very impressive. 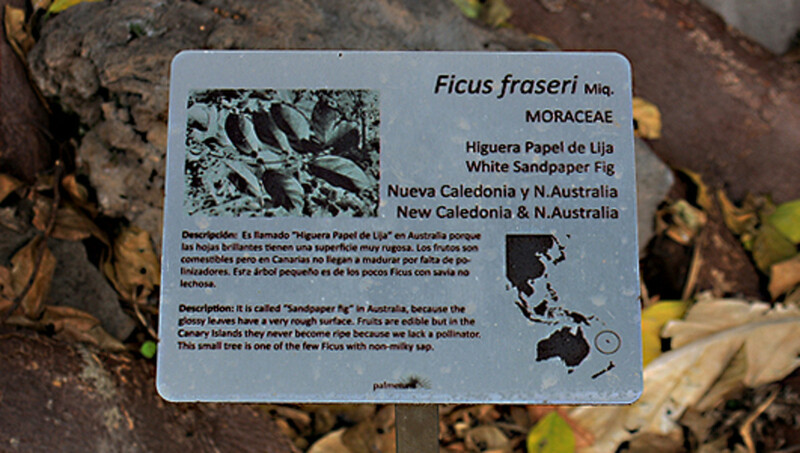 Almost all of the plant specimens are labelled, and many of the labels carry facts about the plant’s origin or other snippets of interesting information. The most special plants in the opinion of the garden’s administrators are featured on a very informative, albeit rather large A3 sheet which one can carry around in the park. Although this is perfectly satisfactory, one suspects that it is only provisional, and in due course a more professional leaflet or guide booklet will be produced. Basically all this information means that at almost no time is the visitor left wondering what s/he is looking at. No refreshments or other facilities are currently available within the Palmetum, though at present a walk round the park will not normally take more than two hours, and there are plenty of eating establishments just beyond the confines of the garden. Although many people have played a part, a brief mention should be made of some of the key individuals who drove this great project forward. 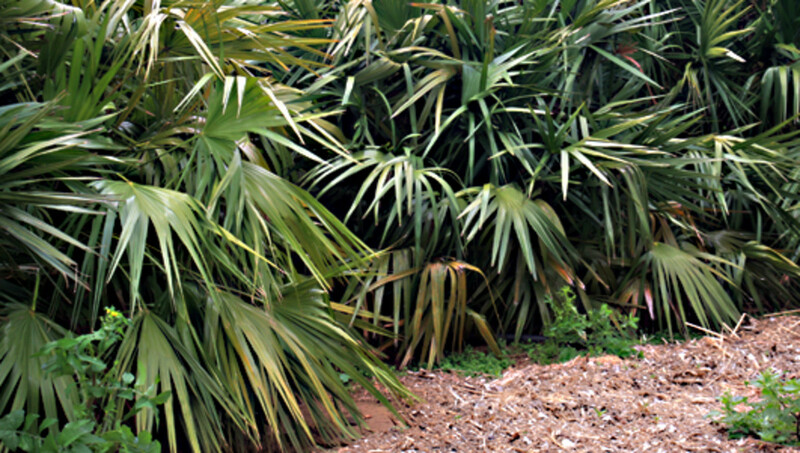 The idea of the palmetum was largely the brainchild of agronomist Manuel Caballero, head of the Department of Ornamental Plants at the 'Instituto Canario de Investigaciones Agrarias'. Much of the early direction of the project was by Caballero. Botanist Carlo Morici was largely responsible for the selection of plant species and Carlos Simon, a garden designer from La Palma, directed most of the early plantings. Simon also designed many of the biogeographical zones, as well as the Octagon, and several of the waterfalls and the natural stone outcrops over which they flow. Elias del Castillo co-directed with Simon, the design of the cascades in the Caribbean section. The other zones including the hillside slopes were landscaped by Morici, who has also undertaken much of the supervision of the project since 2007. Engineer Jose Timon directed the installation of irrigation sysyems and the new gas extraction process. The author of this piece spent a mere one hour in the Palmetum. The visit was so brief because my reason for travelling to Santa Cruz that day was not to visit a botanical garden - it was to visit the annual extravaganza that is the Santa Cruz Carnival - the subject of another web page of mine. As luck would have it, by far the most convenient car park for the carnival was beneath the hill on which the Palmetum stands. And so I chose to investigate. I was glad that I did - up until that point, I had not known of the Palmetum’s existence. Therefore I can only consider on this page, that which was seen in one hour on one day of the year, and the photo opportunities which presented on that day. Please bear that in mind; it is highly likely that the Palmetum may put on a better show at other times of the year, and as the collection matures further. I had intended to write this article as a simple little guide to a visitor attraction which tourists travelling through Santa Cruz might wish to see. What lies under the soil where palm trees now grow was not at all apparent at the time of my visit, and it was only later when I was researching the Palmetum that I came to appreciate the true nature of the hill on which it stands. and the remarkable transition which had taken place on this site. 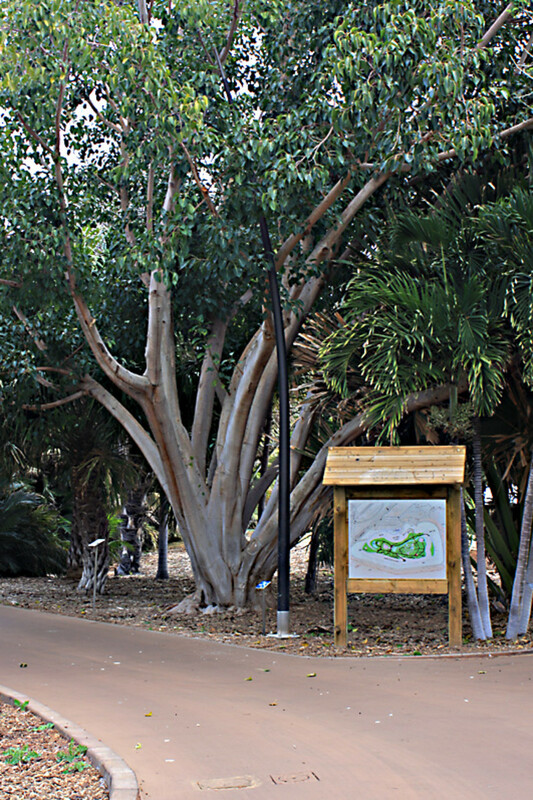 The title of this final section was the slogan used by the city to advertise the first guided tours of this new garden, and it emphasises the haven-like status of the Palmetum in the City of Santa Cruz. The garden is now the largest green space in the city. At the time of writing, the Palmetum has only been open to the public for a matter of months. Many of the plants are still maturing, and it remains to be seen what the future holds. On the day of the Carnival when I visited, the park was quite well attended, but that may be due to the large influx of tourists arriving for the Carnival. It seems that this new attraction may go in one of two directions. It could be that the high costs of maintaining the Palmetum, and the perhaps limited appeal of a botanic garden largely devoted to palm trees, will mean that I saw the garden at its best. It could be difficult to maintain it in pristine condition if funding dries up once again. 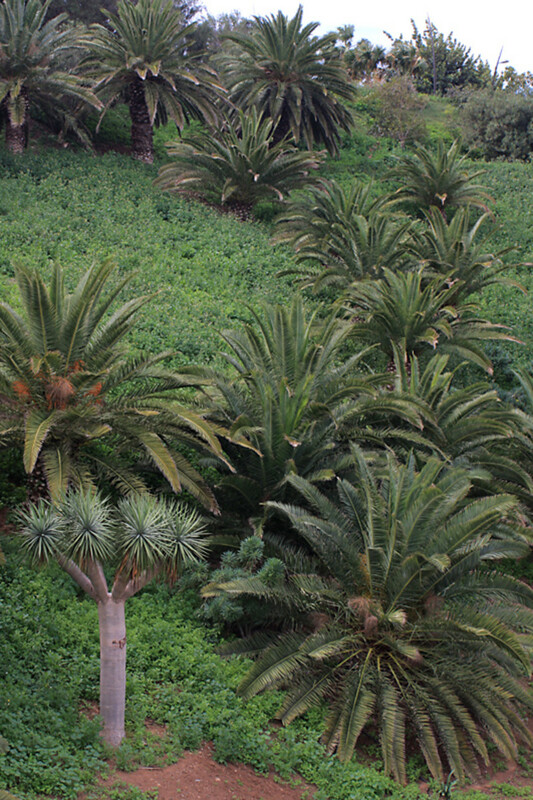 Alternatively as the garden continues to mature, the flowering species flourish, and the reputation of the Palmetum spreads, this may well become a valuable and important asset to Santa Cruz and the Island of Tenerife, and to the conservation of palms and other species. One fervently hopes that the latter scenario is the one which comes true. Because of its somewhat specialist flora, I guess only botanists, horticulturists and landscape gardeners may travel long distances to see the Santa Cruz Palmetum at the current time. But if you are in the area - and most people who visit Tenerife for a holiday will not be too far away, because nowhere is very far away on a small island - you really should take the opportunity to look around. The Palmetum today truly is a shining example of what can be done with the most unprepossessing of environments, and one hopes that it continues to be so as it develops in the years to come. 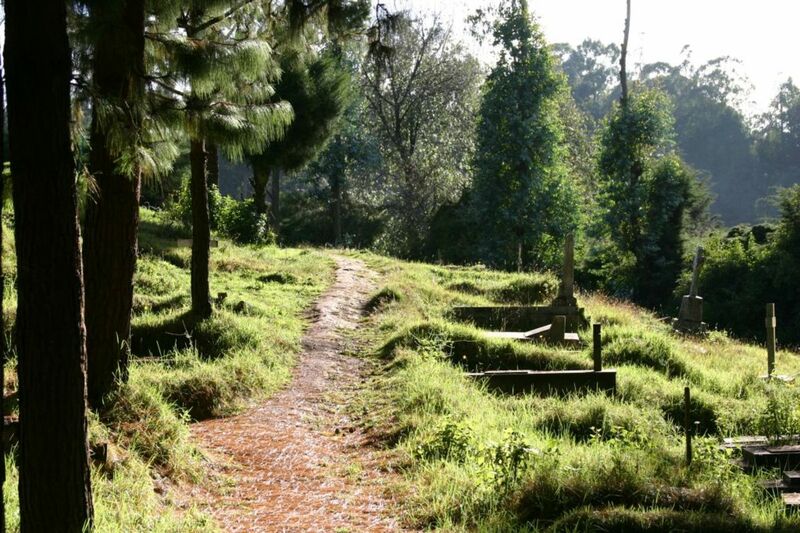 6 Popular Places to Visit in Ooty: Have You Seen Them All? This is an interesting hub about a very useful and worthy project, Alun. I hope the palmetum succeeds. Beautifully done! Terrific transition from dump to floral. The pics are nicely done too, this was a great visit. Keep 'em coming. Upvoted/beauty/follow. Peace. Kawi.